What is the one thing that I could not live without aside from my camera and lenses on a shoot? – Gray card. We obsess over the color of images. We believe that no matter where you are photographed, indoors or out, you should still look like you. Worked hard on that tan? We make sure it still looks amazing. – Cup of coffee. Never underestimate the value of being caffeinated. – Squeaky toys. Sure works well with kids but I can be goofy and get smiles with almost anything. So …. Introducing what I could not live without. 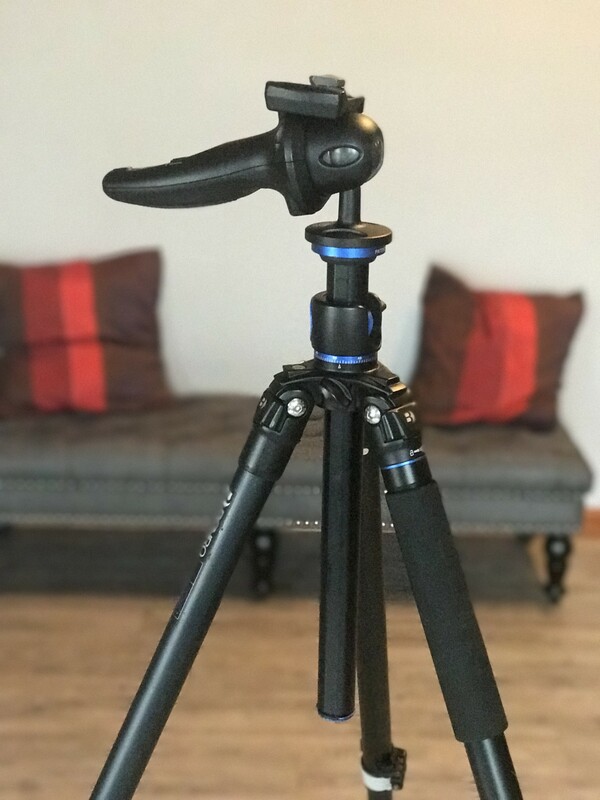 The one thing that I really don’t want to be without is ….my tripod. Why? Two reasons. The first is for me perfect images are important. I cannot have images that are not sharp. Since so many of our portraits go large. Not just 11x14 large but 30x40 large and images need to be sharp when you enlarge them that much. Secondly, I want to be photographing for a long time and I have seen so many of my friends end up with back and neck and shoulder problems because of hand holding cameras. Here is my current friend and constant companion.